Romania and Poland are both countries that have emerged from the hardships of communism and have gradually improved their economic status over the years. Tourism is one area that is important for both Poland and Romania and many tourists visit the two countries as much as for relaxation as for dental tourism. Romania stands out as a dental tourism destination because of its lower prices for accommodation and transport and for the quality of the dental services provided by dentists with a high degree of training. 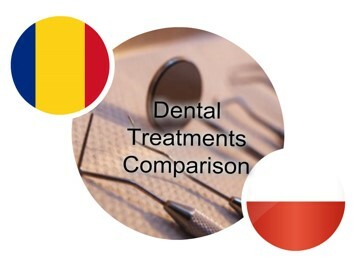 Romanian dentists and Romanian doctors are known worldwide for their professionalism and expertise. Bucharest is one of the top destinations in Europe for dental treatments abroad and, despite a sometimes negative publicity, the city retains a certain charm for tourists who come here in search for affordable dental treatments but oftentimes also discover the beauty of the country. Bucharest is easily accessible from any European country. In a matter of hours tourists can land on Henri Coanda International Airport. Low budget flights are available at a number of companies and if you plan your dental trip in time you can benefit from important discounts. Accommodation and transportation in Bucharest are both very affordable for Europeans. Bus tickets cost 0.28 euros and taxis cost 0.30 euros per kilometer. Hotel prices in Bucharest start at an average of 40 euros for central three star hotels that offer many benefits and special packages. As a comparison, one bus ticket in Poland costs about 0.72 euros and taxis cost about 0.60 euros per kilometer. Both of our clinics in Bucharest are staffed with experienced and dedicated dentists. 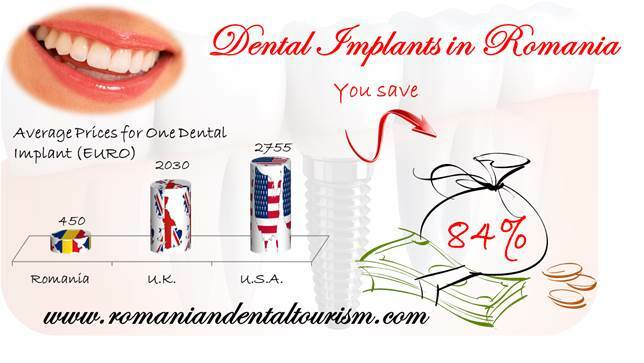 Dental prices in Romania are more affordable than in many European countries and the quality of the services is not diminished by the low prices. 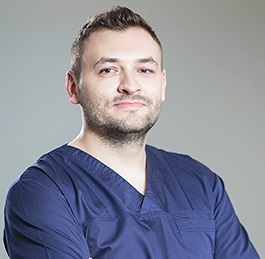 Some of the most requested dental treatments in Romania are cosmetic procedures like teeth whitening that have a price of 230 euros at our clinics, dental implants which start at 450 euros in Romania and dental crowns. Our dentists in Bucharest work with the best available materials for crowns and other dental prosthetics. If you are looking for more complex dental services, our dentists also specialize in pediatric dentistry and can perform oral and maxillofacial surgery. Please contact our dentists in Bucharest for more information about dentistry in Romania.